We all love apple pie right? It reminds us of fall. Crisp days, pretty leaves and the wonderful smell of cinnamon coming from the oven. 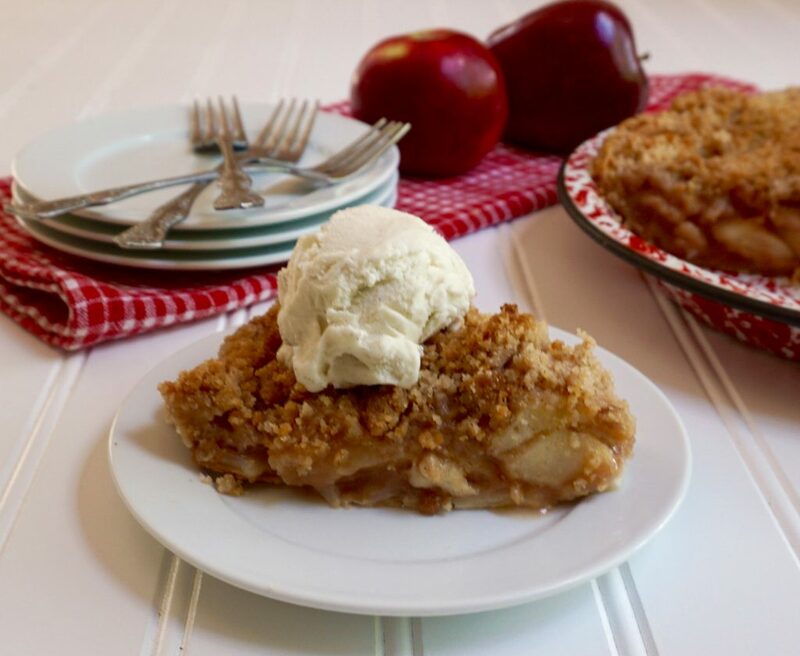 I think that this Apple Crumble Pie takes the entire pie experience up a notch! 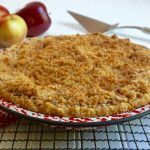 Buttery crumbs with spices add an entirely new dimension that you don’t get with a plain crust top. This is my Mom’s Apple Crumble Pie recipe. 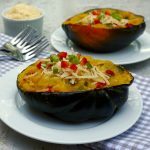 I may be partial but I really think that it is a good recipe. 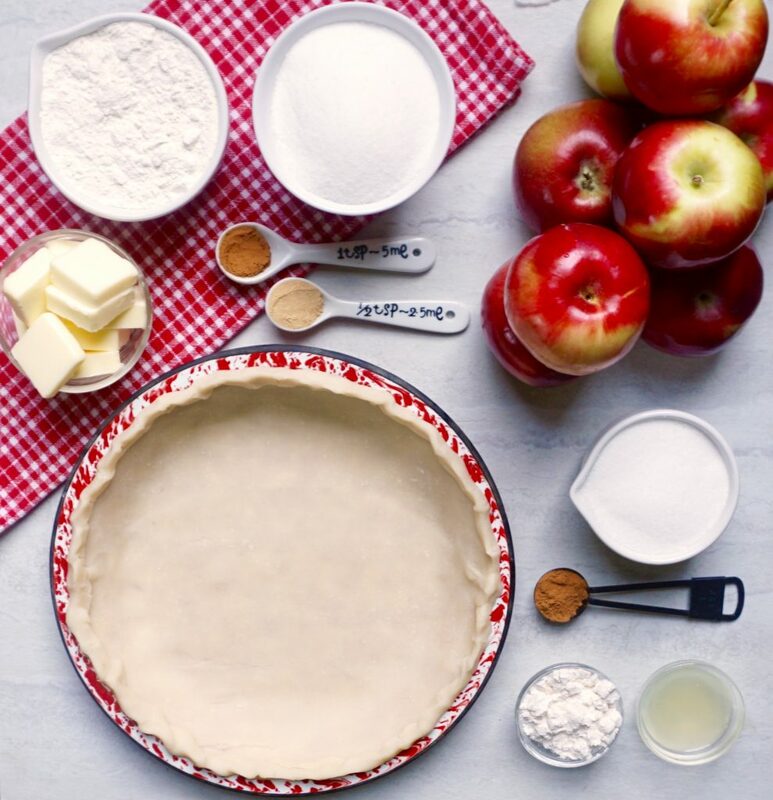 If you want a double crust pie you can check out my Apple Pie recipe from last fall. 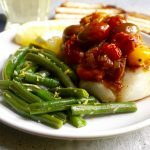 If you want a pie that is a little different try this pie. 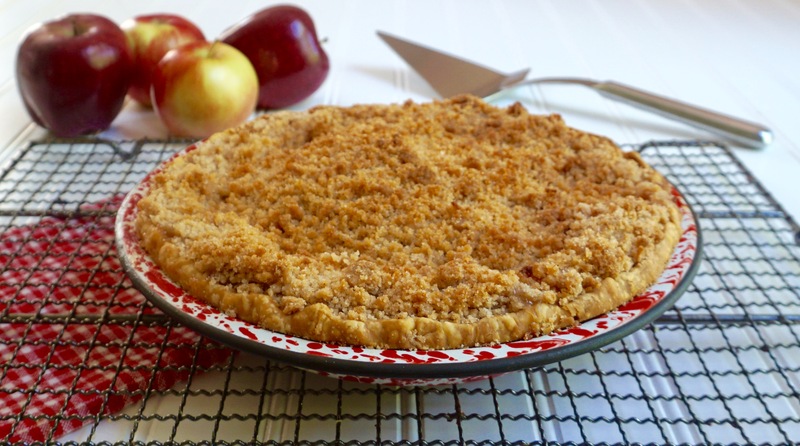 It is like an apple crisp in a pie crust! Place the lemon juice into a large bowl. Peel, core and slice the apples 1 inch thick. Add them to the bowl with the lemon juice as you are slicing them and stir them. This will prevent the apples from browning. Add the sugar, flour and cinnamon. Mix well. Line a 9 inch pie plate with the pie crust, crimping the edges. You can buy a prepared crust or try Fool Proof Pie Dough. Add the apples. Place them so that the apples in the center of the plate come up slightly higher. Mix the flour, sugar ,cinnamon, ginger and mace together. Using either a food processor or pastry blender, add the butter, one tablespoon at a time. 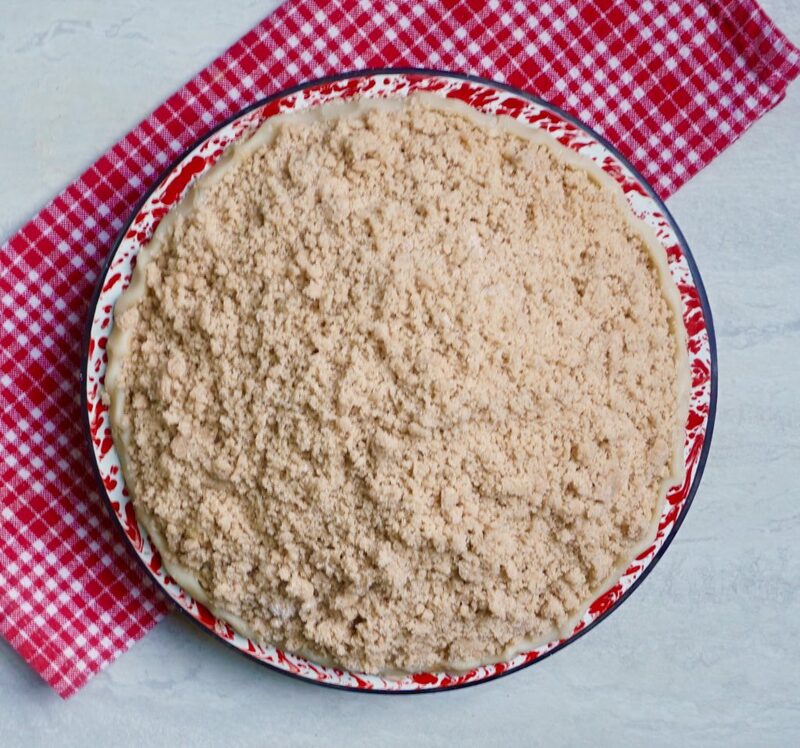 The butter needs to be completely cut into the dry ingredients so that you achieve a very crumbly mixture. Spread the crumbs evenly over the apples in the pie plate, making sure that all of the apples are completely covered. Bake the pie for 45 minutes in the center rack of the oven. Check the pie at 20 minutes as the edges may brown before the rest of the pie. If you see that happening, cut a strip of aluminum foil and place it around the rim of the pie, covering the edge of the crust. This will prevent it from becoming too brown. Check out this tutorial on how to make a pie crust ring if you want to do this.